The human body goes through a lot of changes with age, including physical, mental, emotional, and hormonal. People tend to get fatter and their skin starts to sag as they age. So, it becomes important to know what should be your ideal body fat percentage according to your age. You can also see BMI and Body Fat Charts. The body fat percentage of a 30-year-old will not be same as that of a 70-year-old. There is a lot of difference between the two. So, it is important to know your body fat percentage, and a body fat Chart Templates by age can come to your great help. 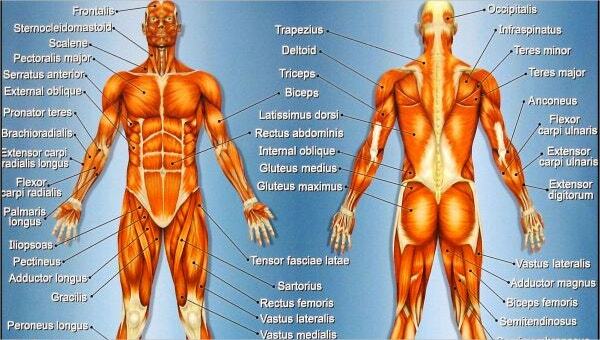 Males and females of different ages need to have different body fat percentages. A body fat percentage chart by age and gender mentions body fat percentage of both males and females according to their age. So, whether you are a man or a woman, you can use this chart to know the ideal body fat percentage for your age. This type of body fat chart is specifically designed for males. 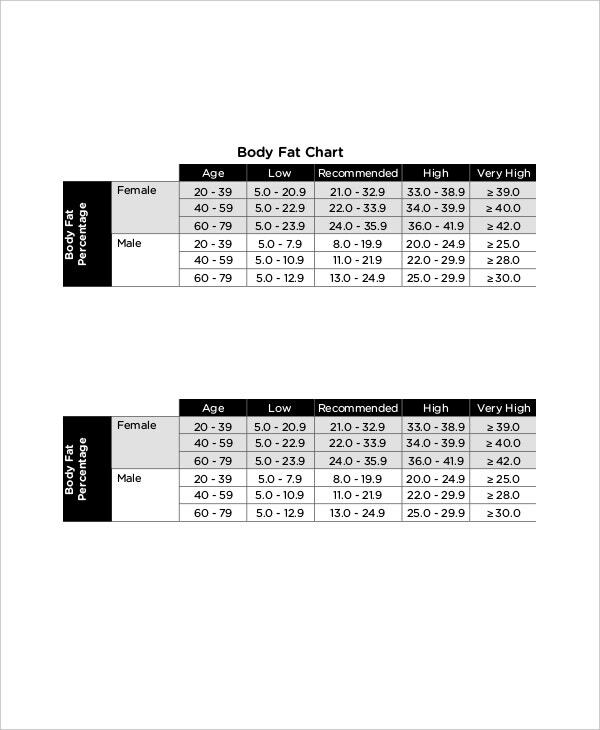 The body fat percentage required by males is somewhat different from females, and this is where a male body fat chart by age comes to your help. It indicates what the ideal body fat percentage for different ages of males should be. Use a ready-made template to create a male body fat chart by age. You can also see Height Weight Chart Templates. Females tend to accumulate fat on certain parts of the body with age, and this is why their body shape gets disturbed, as they grow old. It is important to monitor fat accumulation in these parts so that you don’t get too fat. 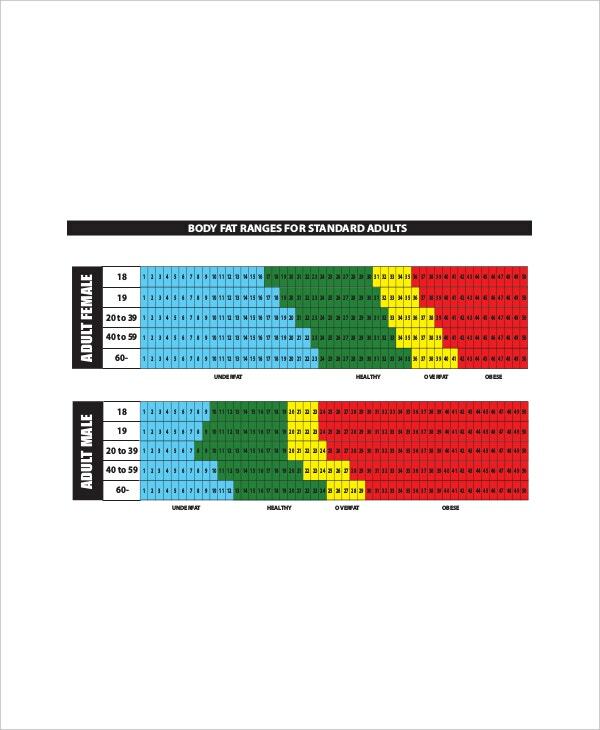 Use a female body fat chart by age to measure your body fat percentage and keep it on track. Use a ready-made template to create such a chart. Excel is one of the most popular MS programs to use. It is fully laden with user-friendly features that allow you to make your calculations within seconds. With a whole lot of rows, lines and columns, you can create this chart very easily, neatly and systematically. We have a ready-made template here too which you can use to create a body fat chart by age in Excel. 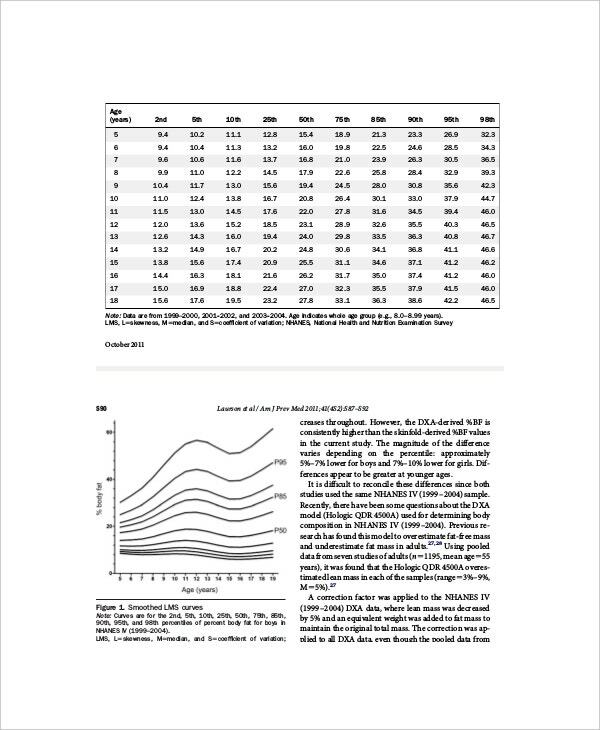 To determine how fit you are and what you need to do to enter the ideal fitness level You can also see Pareto Chart Templates. 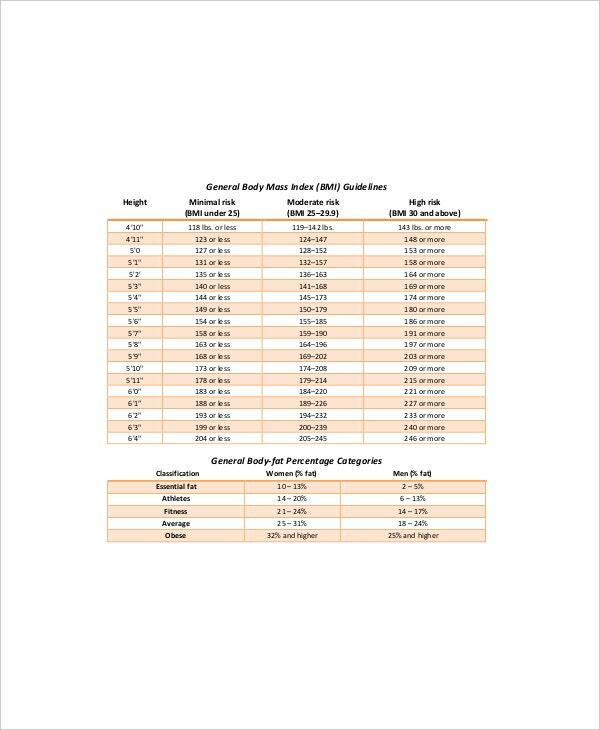 A body fat chart by age is equipped with different things that need to be determined while calculating body fat percentage of an individual, including age, gender, height and weight. There are different measurements for different ages of males and females. A body fat chart includes all these and much more as per your individual requirements and preferences. 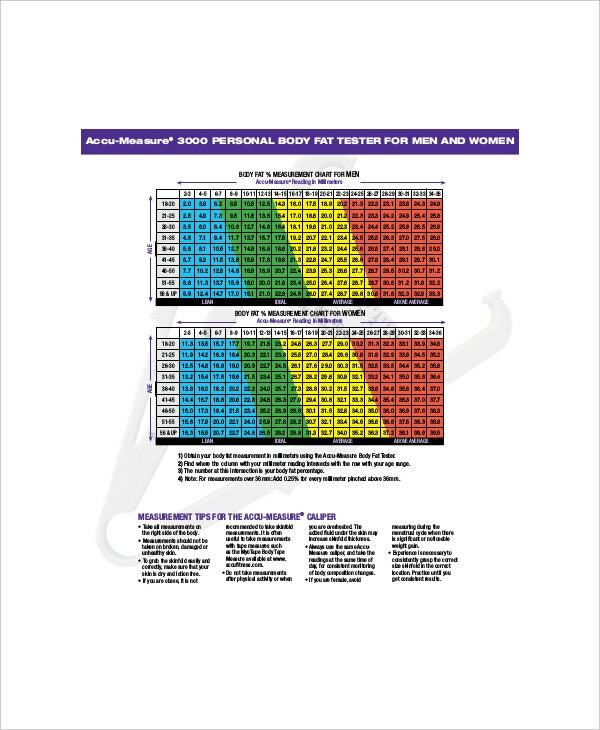 You can ask a professional to calculate your body fat percentage, or use this chart to do it yourself. You can also see Body Fat Chart Female. 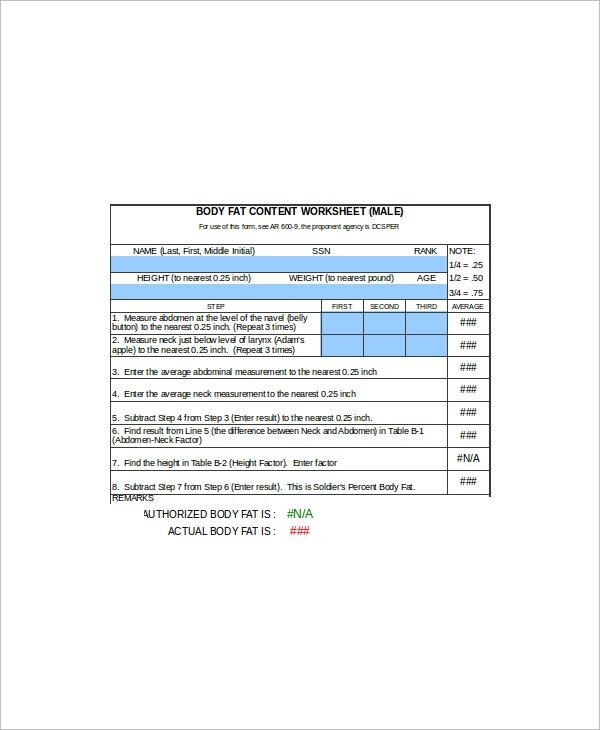 Conclusion: When you can make your own body fat chart by age using these ready-made templates, why do you need to spend time and money on hiring a professional to do that? 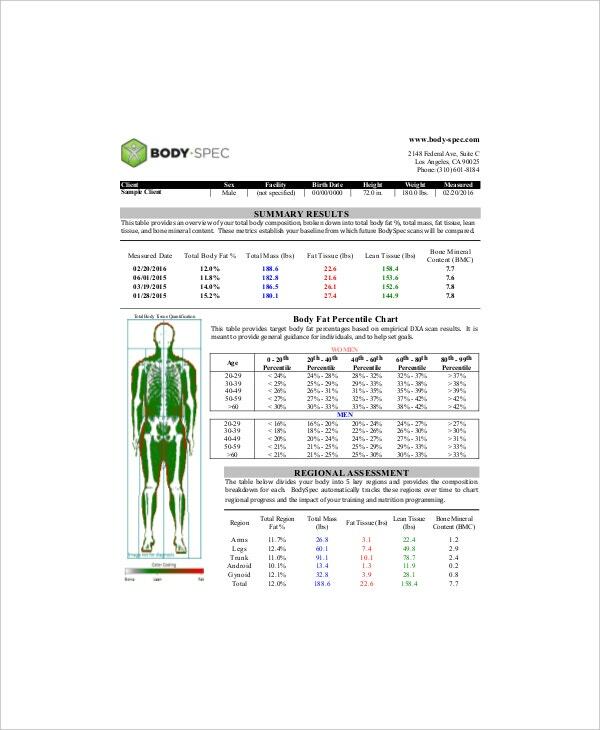 These charts have all the elements that need to be considered while calculating a person’s body fat percentage, whether male or female. An added benefit is that unlike ready-made charts available in the market, these charts can be fully customized as per your personal needs and preferences.